SEE FULL APPLICATION INSTRUCTIONS ON PRODUCT LABEL. Always follow the instructions on the product label. When mixing Avenger Weed Killer with water you MUST pour the desired amount of Avenger Weed Killer in the tank FIRST. Then, apply the appropriate amount of water to achieve your desired dilution rate. When properly mixed with water, the Avenger Weed Killer will turn from a clear, orange colored liquid into a white, milky liquid. Use clean water when mixing with this product and apply to the foliage of vegetation to be controlled. Spray until thoroughly wet. Use a 1:5 ratio of Avenger Weed Killer to water; dilute 1 part of Avenger Weed Killer in 5 parts of water. 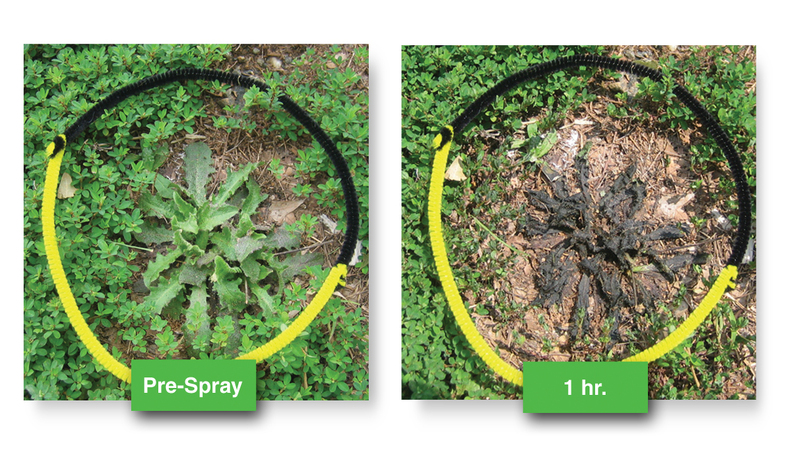 For harder to control weeds (for example, weeds with a thick cuticle such as ivy and hard to control perennials), use a 1:3 ratio of Avenger Weed Killer to water. What is Avenger Weed Killer? Avenger Weed Killer is an organic, herbicide that is post-emergence, fast-acting and non-selective. How does Avenger Weed Killer work? Avenger Weed Killer contains d-limonene, or citrus oil extract, a powerful, natural degreasing agent that strips away the waxy cuticle from weeds’ leaves, causing fast wilting (necrosis), dehydration and death. What will Avenger Weed Killer control? Avenger Weed Killer controls annual and perennial weeds, both grasses and broadleaves. It is non-selective, and should not be sprayed on desirable plants as they will be damaged. Will it prevent weeds from coming back? Avenger Weed Killer is a fast-acting, post-emergence herbicide for use on weeds that already exist. It will not control weeds that have yet to germinate. Where can I use Avenger Weed Killer? Avenger Weed Killer is EPA registered for use in non-crop areas such as borders, around mature trees and ornamentals, around buildings, in greenhouses, industrial sites, nurseries, roadsides, etc. After I spray Avenger Weed Killer, how soon can I rotary till and plant? 24 hours should allow for sufficient time. If you have questions, please contact us before application. What water volume should I use? For best performance complete coverage of target weeds is necessary. The volume required will depend on density and maturity of weeds. See Label for Complete Application Instructions. When do I apply Avenger Weed Killer? It is best to apply when weeds are “small”, below 6 inches. See Label for Complete Application Instructions. Can I apply Avenger Weed Killer by air or irrigation pipes? Is Avenger Weed Killer registered for organic use? Yes, Avenger Weed Killer is NOP compliant (National Organic Program), OMRI® listed and WSDA Reg. Material. What spray nozzle/nozzle pressure should I use? Either hollow cone or flat fan nozzles can be used to apply Avenger Weed Killer. Match the nozzle size necessary to apply the proper amount of product at low to moderate pressures while avoiding excessive pressures that result in small droplets that are prone to drift. When spraying around desirable plants, make sure and always use a sprayer hood to better control the spray pattern and help prevent spray droplets from touching desirable plant foliage. What pH range is best? Avenger Weed Killer works best at higher pHs, but 6-10 is fine. If rain is expected within 1 to 2 hours, or if windy conditions exist, do not apply. Also allow heavy dew to evaporate prior to Avenger Weed Killer applications. 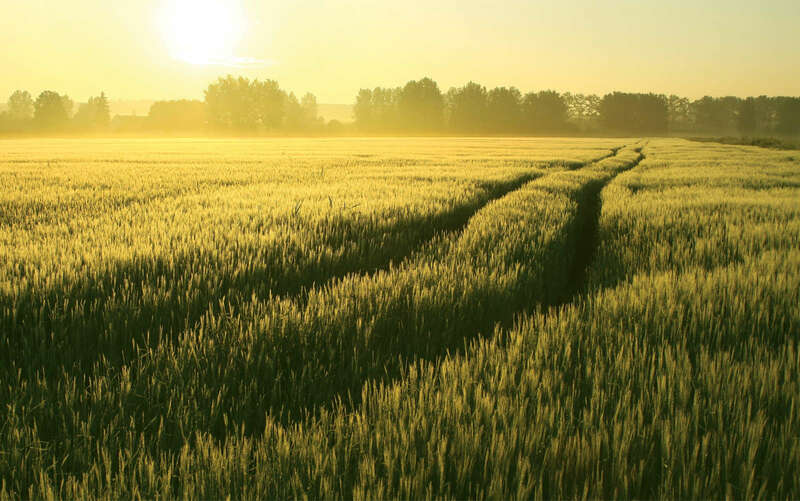 How does Avenger Weed Killer effect the environment? Used with the expressed written permission of Cutting Edge Formulations, Inc.